While coach Paul Rainville enters his third consecutive year guiding the 2003 cohort he will have a new co-pilot for the other team in the age group with Claude Ferland remaining at 15u to give it another go. Paul and Claude will work closely together to continue the impressive development of the boys. 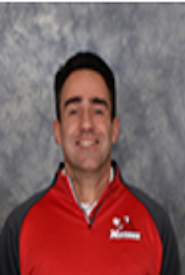 Meanwhile on the girls side of the ledger John Spack will enter his second season with the 2003 girls and be joined in the team coaching tandem by Pat Henderson who enters his third season head coaching with the Mavs. Paul has a rare line on his biography as he was one of the last players to don the colours for ​Laurentian Université from 1992-1997 where he was named OUAA Rookie of the year and was twice an all-star. Paul is another of the Maverick Coaches who is an educator by trade. This ensures that the athletes will recieve the attention to detail in skill development in a clear concise manner. As the head coach for the Samuel Genest Laser he has won many NCSSAA titles and had a silver placement at Ofsaa. Coach Rainville is entering his 4th season with the Mavs having done a brief stint in 2001, he has been at the wheel of the 2003 cohort for the last two. Paul is a certified NCCP Level 1 coach. His son Jacob is entering his third year of play with the club as well. 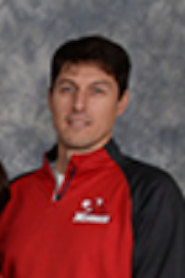 Caude is entering his 3rd season with the club and his 7th season coaching competitive volleyball. Claude is an Advanced Development Coach under the new Volleyball Canada coaching model and a former member of the Université de Sherbrooke Vert et Or. 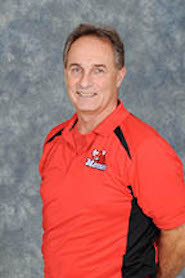 Coaching high performance athletes is nothing new to Claude, having served as former Men's National Team coach Glenn Hoag's assistant while at Sherbrooke. He was also an assistant coach on the 1999 17U Team Quebec that won a bronze medal at NTCC's. More recently, he led one of the Region 6 boys' teams at the 2016 Ontario Summer Games. 14U Bandits team that won gold at Ontario Championships and silver at VC Nationals. Division 1 Tier 2 bronze medal at Provincials. A proud father of two, Claude strongly believes in helping his players develop life skills in areas such as goal-setting, teamwork and self-discipline. Claude's son Jacob will be playing for the 16U Mavs in 2017/18, following a gold medal performance at NTCC's with Team Ontario 16U and Mavs coach Frank St-Denis. The plan is to be focused on athlete development and preparation for the Mavs' High Performance teams. He looks to share his tremendous passion for the game and leverage the experience gained last year at 15U to achieve even better results this upcoming season. John is a recently retired Engineering Construction Technician. JHis wife Sally is also a large part of the Maverick family as facility director and member of the club executive. Their two children Katie and Chris, both multi-sport athletes, both eventually settled on volleyball and experienced the Maverick Way as well going on to compete successfully at the CIS and CCAA level. John found his passion for volleyball while growing up as a multi-sport athlete in North Bay Ontario. He was a three time NOSSA winner and OFSAA participant with West Ferris HS, as well as a member of the boys NE Regional Team. John is a Certified Advance Development Coach with 26 year’s coaching experience. The first 12 years found him coaching former College and University athletes at the senior women’s club level, medalling in a number of Provincials and winning a few City Championships along the way. The past 14 years have been spent with the Mavericks, as a member of the executive, contributing to the development of and coaching in their performance program. John has coached at all age groups on the girl’s side. 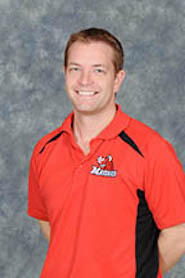 He has also been involved with coaching in two Ontario Summer Games at the Regional level. He has been successful and fortunate to bring in a number of medals at the Provincial and National level but more importantly in preparing the athletes to compete at the highest club level with four top 5 placings at the 17U and 18U National Championships. Believing in the whole concept of coaching, John has played an instrumental role in developing numerous Team Ontario, Junior National Team, CIS, CCAA, NCAA and most recently Senior Women’s National Team athletes. John is a committed coach, dedicated to providing a challenging and effective practice environment where athletes are encouraged and expected to strive for excellence. He consistently offers guidance, support and insight on and off the court to optimize and benefit individual progress and meet team goals. His mandate is to see each of his athletes have at least an opportunity to succeed in their individual goals they strive for. Pat has been involved with volleyball his entire life from his high school playing days (OFSAA Gold and Bronze medals) along with being the starting setter at Durham College for three seasons (including two Provincial Bronze medals). From there was an assistant coach for the Men's Varsity Team at Durham College for five seasons. Wanting to continue coaching after that he got into the club scene and has coached girls 13U to 17U splitting time between the Scarborough Titans, Evolution Volleyball Club and now with the Ottawa Mavericks. Pat has coached the 16U HP Girls and the 15U HP Girls with the Mavs and looks forward to another season with the 15U age group! The past two seasons with the Mavs has been a great experience being able to work with some of the best coaches in club volleyball. Pat continues to give back having helped out with the Young Mavs, Mavs House League, Mavs Summer Camps and the Broaden Your Horizons sessions.